For your next special occasion, why not make an event of it and arrive in a different kind of luxury? Make a grand entrance with the best stretch hummer limos, Sydney has to offer! Be it a wedding, school graduation or birthday, we will provide you with a stylish and luxurious ride. Hummerzillaz is a premier stretched limo hire service that offers extremely competitive prices without sacrificing on quality. Hummerzillaz provides deluxe stretch hummers for any special occasion. From school formals to bucks nights to work Christmas parties – the possibilities are limitless. Our stretched hummers are luxuriously spacious and can hold large parties. With mood lighting and sunroofs, they exude luxury and class. They are fully registered vehicles, featuring premium inclusions that will add to your customer experience. Rent the ultimate vehicle for your next event from our luxury collection today. Our wedding stretch hummer limos epitomise style and fun. With complimentary beer and champagne, luxurious seating and a state of the art sound system, your special occasion will be truly unforgettable. 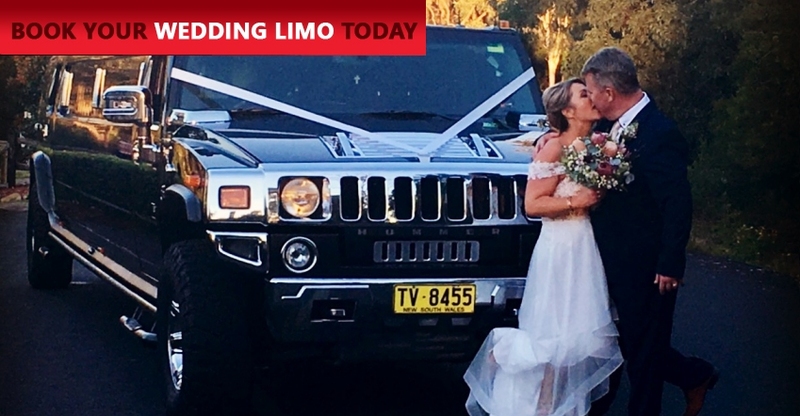 Driven by a uniformed chauffeur and tastefully decorated, our stretched hummers will add perfection to your big day. With protective wheel covers to protect the bride’s dress, you will feel completely at ease in our vehicles. We can even provide airport transfers, whisking couples off to their honeymoons in style. Ensure your next special event is extra special by enlisting our help. With Hummerzillaz, you can rent a Hummer in Sydney and throughout the surrounding regions. Whether you need transportation to Wollongong or a nearby suburb, you can trust us to help make your night run well. All of our drivers have commercial passenger vehicle accreditations and will provide you with a smooth ride. They will arrive promptly at your premises, offering the utmost professionalism and customer care. Hummerzillaz offers competitive hummer hire throughout Sydney. Our extremely reasonable rent prices are subject to a number of mitigating factors. The time, distance and number of occupants will all be taken into account when formulating a quote. And if you need a limousine at short notice, our standby rates are a terrific option! We take bookings as late as 48 hours before events. Looking for AMAZINGLY cheap stretch hummer hire on a Sunday? We have the perfect solution for you. From March through to May you can rent one of our vehicles for an hour on Sunday, for just $300! Whether you’re planning a hens or bucks night, a birthday or just spoiling a special friend, our stretch hummer limos is the perfect surprise. Take advantage of this amazing deal and book our cheap services on a Sunday! Don’t hesitate! Contact Hummerzillaz today on 1300 521 382 to book our stretched hummer hire service or to find out more about our limos. Our customer service teams are more than happy to answer any questions or to provide a comprehensive quote. Copyright © 2008 - 2015 Hummerzillaz. All Rights Reserved.